Serving the Baton Rouge Area for Over 30 Years. Breaux’s Heating & Air Conditioning Service, Inc. provides heating, cooling and duct cleaning services to homeowners throughout Baton Rouge, LA. Call us for 24-hour repairs, new installations, seasonal maintenance and much more! We honor all warranties and all our technicians are factory-trained. We’re the only HVAC provider you need to call when your forced air is on the line. When you’re looking for an HVAC technician in Baton Rouge, LA, you need someone who’s prompt, professional, knowledgeable and, above all, honest. This combination of traits is the difference between a working HVAC system and one that continues to have problems long after the technician has left. At Breaux’s Heating & Air Conditioning Service, Inc., we aim to give you total peace of mind and top satisfaction: No matter your reason for calling us out. Our abilities make us your all-in-one choice for HVAC services. If your old furnace or AC needs replacing, count on us to assist you every step of the way—from choosing a new unit to completing a flawless installation. Problems with your forced air? We deliver heating and air conditioning repair in Baton Rouge, LA at all hours of the day and night, whenever it stops working right. We even offer preventive maintenance agreements to help our customers avoid problems. We provide a complete range of services. You’ll never need to call anyone else for HVAC assistance! Our confidence is second only to our abilities. No problem is too great for us to solve and we’ll always go the extra mile to solve it. We honor all warranties and put our factory-trained expertise to work, regardless of your equipment type. But, what we’re most confident about is our commitment to customer satisfaction. We promise you won’t think twice about dialing our number the next time you need heating or cooling services! Our team of factory-trained experts has more than 30 years of knowledge and experience. We deliver the right fix, the first time, every time! We offer same-day service whenever possible, so you’re not left to contend with unruly conditions by yourself. Our services are available 24 hours a day! 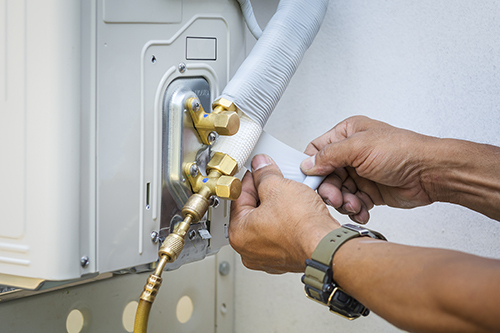 Our techs are equipped to work on all makes and models of HVAC equipment. We’re familiar with all major brands, including the likes of Trane, Rheem, Carrier and more. Our business is fully licensed (LA State License #37372), bonded and insured. Count on us to deliver reputable service. We aim to provide reputable, honest service. We promise to provide pricing upfront and always follow through with quality services. Furnace or AC unit on the fritz? Don’t waste any time in calling us! No matter the problem, no matter the system, we’ll get things working smoothly again in no time at all. Contact us today! Breaux's Heating & Air Conditioning Service, Inc.
February 5, 2018 Sandy P.
"We have had great experiences with this company for many years. They are knowledgable, efficient, provide a good service and I feel comforta..."
May 18, 2016 Kayden D.
"I don't understand the negative reviews maybe someone was having a bad day. These guys are great. They came out in a timely manner to fix my..."
October 8, 2008 George P.
"He did good work. He is a great guy."